It doesn’t matter if you’re using your PC for business or personal use, somewhere along the way, you’ll need screenshots. Screenshots, also known as screen grabs, are pictures of your computer screen. In business, you'll use screenshots for a variety of reasons. Perhaps you are having a technical issue and need help from a remote IT team. A screenshot allows you to share exactly what you’re seeing without trying to describe it over the phone or email. Screenshots are also beneficial for documenting processes. For example, if you are creating a manual and need to document how to execute tasks, screenshots are essential. Not only are they useful in corporate life, screenshots also serve a purpose for personal use. For example, I bought a wedding gift on behalf of myself and three friends. When completing my purchase, I took a screenshot of the confirmation page with the purchase total. Then, I simply shared the screenshot, and each person had a record of the individual contribution they owed. 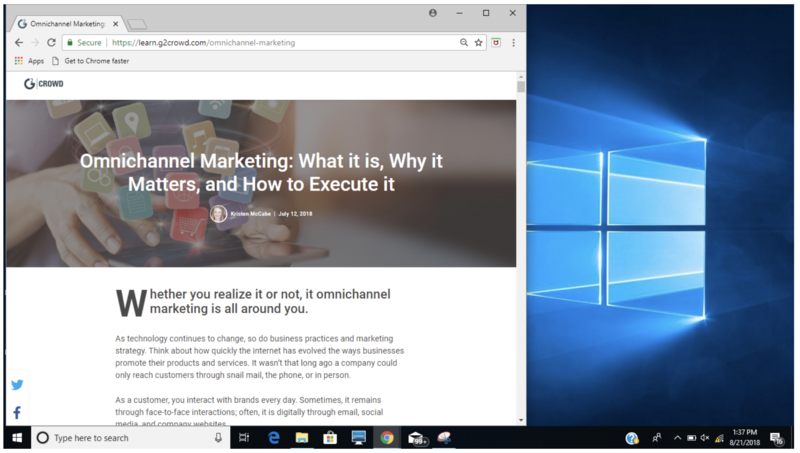 If you don't know how to screenshot on Windows, the good news is it's an easy process to learn – especially with this article to guide you! 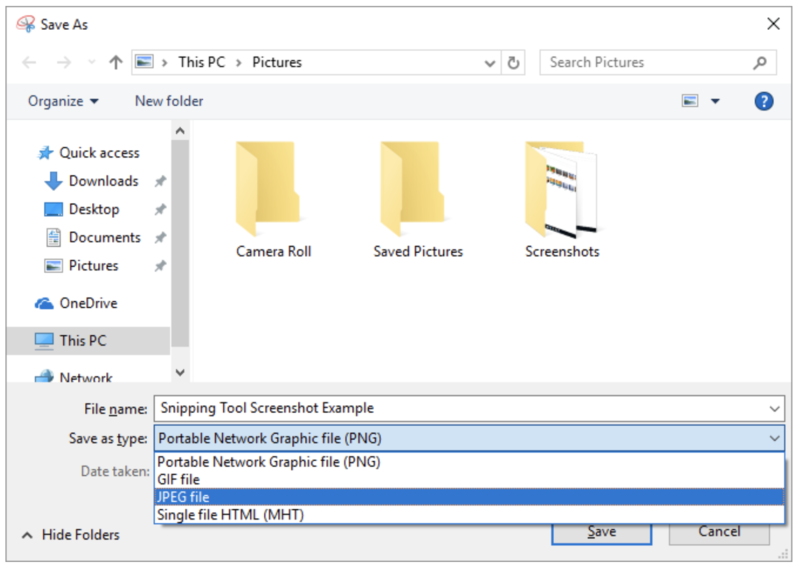 With that, let’s get started with a basic overview on how to take a screenshot on Windows. The following ways to take a screenshot will work across all recent versions of Windows. Let’s start with an overview of the most common ways to take a Windows screenshot. To take a screenshot on Windows 10, use the print screen button (labeled “PrtSc”) to capture your entire screen. 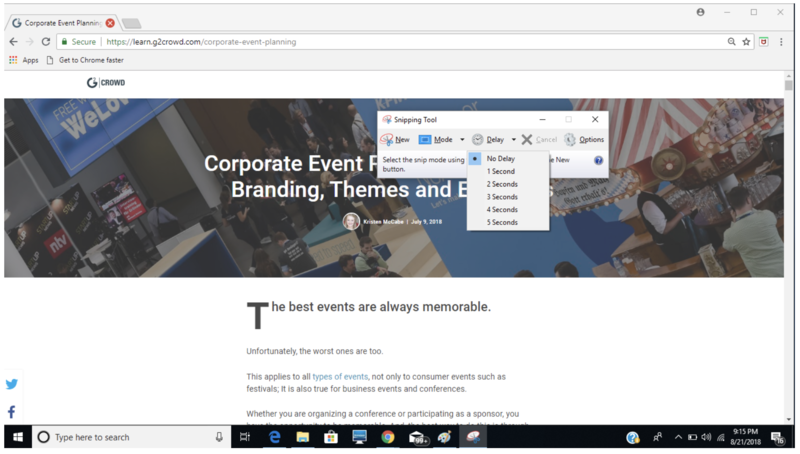 You can also take a screenshot by using the Windows Snipping Tool by searching for “Snipping Tool” in the search bar and clicking the “new” button within the tool. These methods also work on older versions of Windows, such as Windows 7 and Windows 8.1. Those are the two most common ways to take a Windows screenshot. We’ll take a look at each of these now. And, if keyboard shortcuts aren’t your thing, jump ahead to the section on taking a screenshot with the Windows Snipping Tool. Just like an Apple computer, PCs provide you with multiple ways to take a screenshot. Whatever reason you use screenshots, one of these methods is sure to help! Windows enables you to capture your entire screen with a simple push of a button. To do so, simply click the Print Screen button with the letters “PrtSc” located in the upper right corner of your keyboard. To insert the image into a document, press and hold down the Control and V keys. 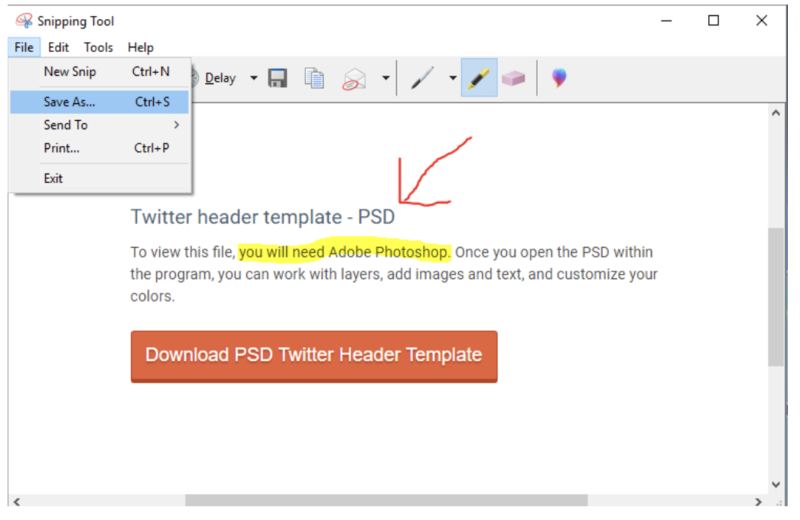 Then, your screen capture will be pasted into your document. If you’re coming to Windows from a Mac computer, you’ll be familiar with using command functions to screenshot a portion of your desktop. Well guess what - Windows does has this function too, woo-hoo! To capture a portion of your Windows desktop, press and hold down the Windows, Shift, and S keys. When you do so, your screen will dim and a cursor will appear. Click and drag your cursor across the area you want to capture, then release the mouse. Just like when you use the print screen key on your PC computer, it will look like your screenshot has disappeared into the abyss. Not to fear, it has once again been copied to your clipboard. You can paste it into a program such as Microsoft Word, Google Docs, or an email. Whatever the destination, simultaneously hold down the control and V keys to paste your screen grab. 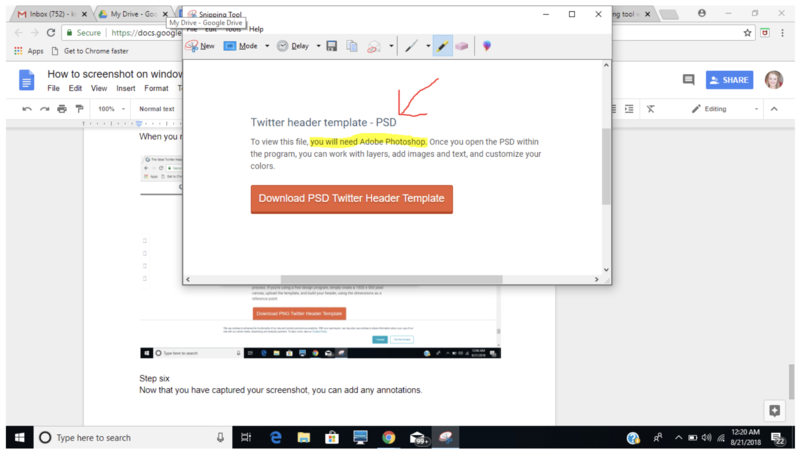 If you would like your print screen to be saved as an image (instead of copied to the clipboard) press and hold down the Windows Key and Print Screen buttons. Just like using the print screen button by itself, you won’t see an immediate visual confirming your screenshot has been saved. To find the image, go to your “Pictures” folder. Once there, you will see a folder for screenshots. By holding down the Windows key and print screen buttons, the image of your Windows desktop is automatically saved to this folder. Instead of capturing your entire screen, you can screen grab one active window. To use this method, go to the window you would like to screenshot and make sure it is active. Then, press and hold down the Alt and Print Screen keys and the active window will be captured. Here you can see what the screen looks like with just the Print Screen button. 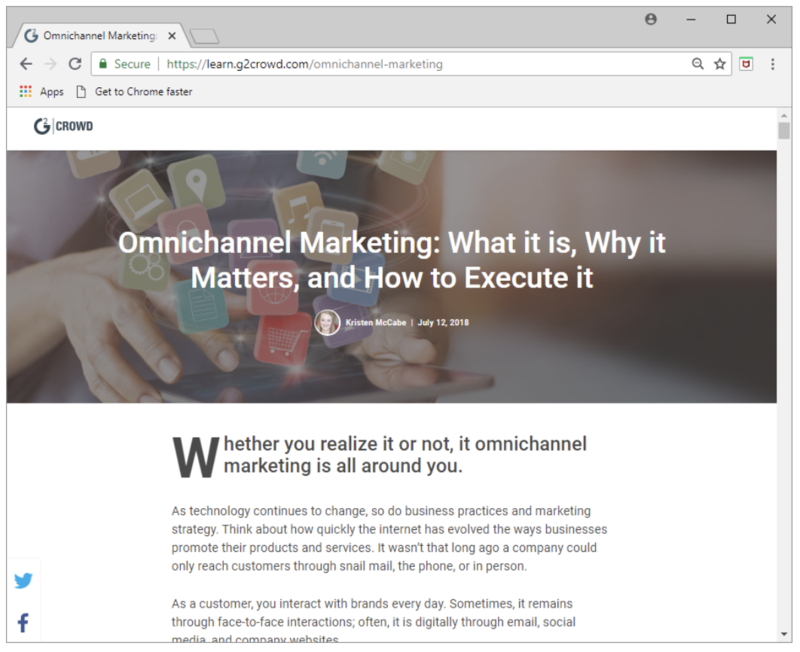 Notice the screenshot includes the window on the left, with an article about omnichannel marketing, a portion of the desktop on the right, and the menu bar at the bottom of the screen. Unfortunately, with this method images are not saved to your Windows pictures gallery. Let’s look at how you can take this step. 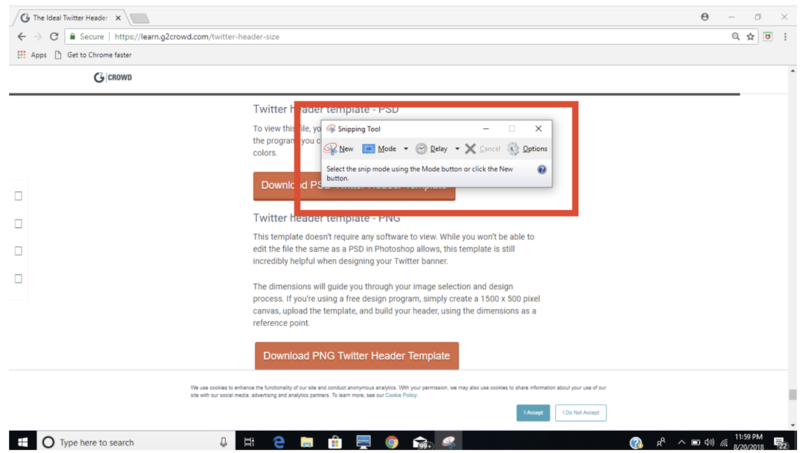 Now that you know how to take screenshots, it's time to learn how to save screenshots that were copied to your clipboard. The easiest way to do this is with Microsoft Paint. We’ll also look at how to use this program to crop your screenshots. Then, you’ll learn how to screenshot on Windows using the Snipping Tool, which also enables you to save and crop your screen grabs. To save one window as an image, use the Alt and Print Screen keys as discussed, and then paste the image into an editing tool. A common editing tool for Windows is Microsoft Paint. 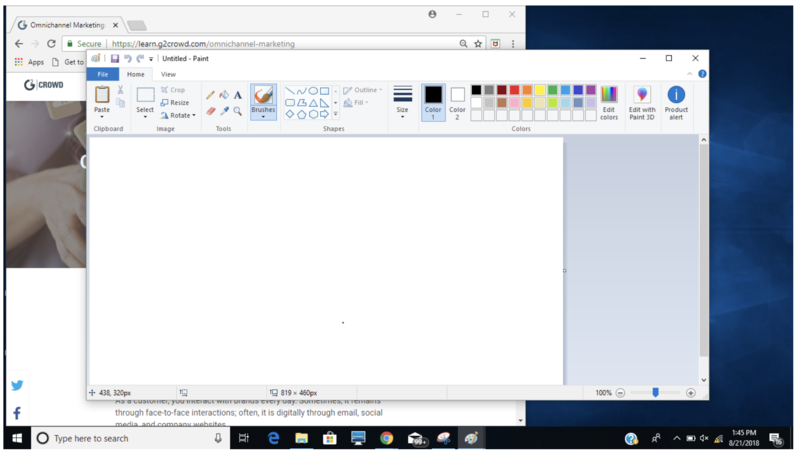 To use Microsoft Paint to save your screenshot image, click on the Windows icon in the lower left-hand corner of your screen and type “paint” into the search bar. 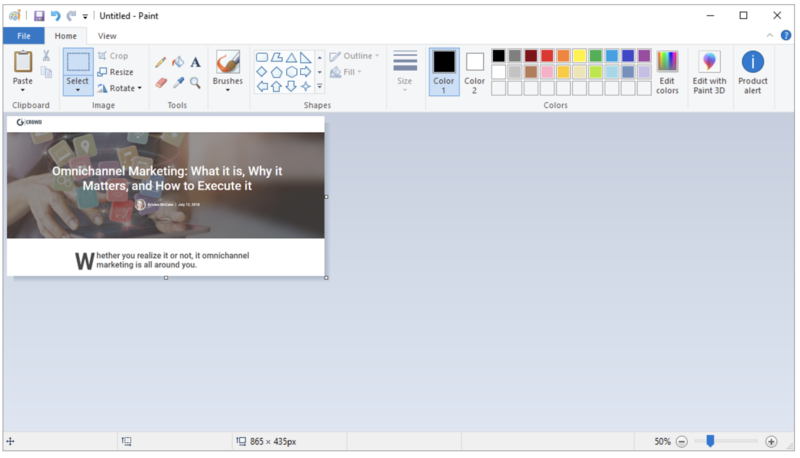 Click on the Paint program that appears, and a new window opening Microsoft Paint will pop up. Click the “Paste” button in the upper-left corner of Microsoft Paint. You will see the window you captured appear on your canvas. From here you can save your screenshot as an image file. Notice that your image has white space on its right side; this is part of the canvas that was in your Microsoft Paint window. 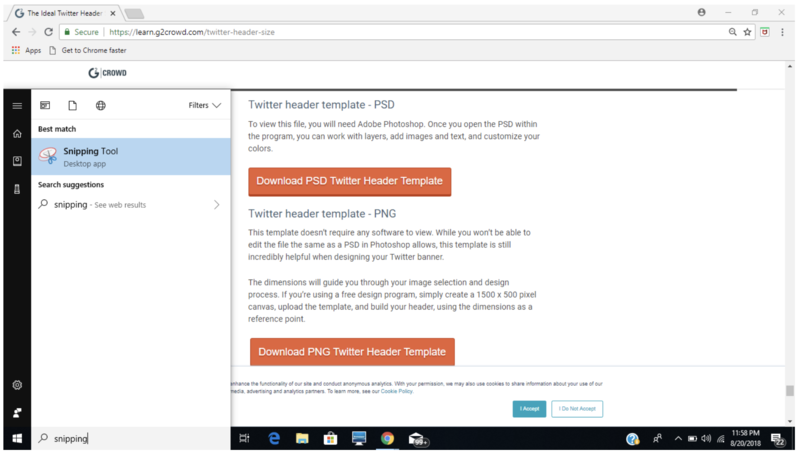 Now, let’s look at how to crop your screenshot in Microsoft Paint. Not only can you get rid of the white space, you can also crop out any other unwanted areas. 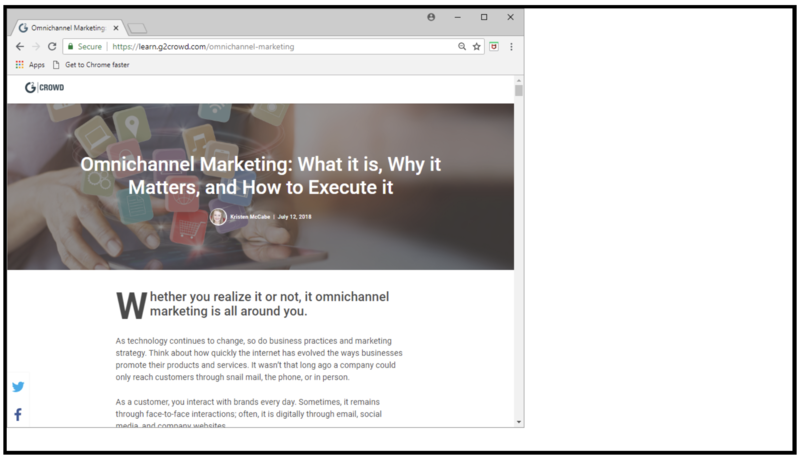 To understand how to crop a screenshot with Microsoft Paint, we’ll go back to the same screenshot we’ve been working with – the window containing an article about omnichannel marketing. Go back to the Microsoft Paint window. Here you’ll see that white area on the right side of your screenshot. In the lower-right corner, you’ll see a bar with a - symbol on the left and a + symbol on the right. Use this to scroll out, making your entire screenshot visible. Make sure the “select” button with the dotted line is activated. When you move your mouse onto the Paint canvas area, you will see a crosshair appear. Click and drag the crosshair to cover the area you would like to select for your screenshot. If you didn’t capture the cropped area exactly as desired, you can click and drag the dotted line to adjust it. Now you can save your cropped screenshot. When saving your image, click on “File” and choose the “Save as” button to choose your image file’s format. In addition to the print screen button, your PC comes pre-installed with tools to capture screenshots. Let’s look at the most common now, the Snipping Tool. The Snipping Tool is my favorite way to screenshot on Windows. Scratch that; not just PCs, it’s my favorite screenshot tool on any computer. When I started working at G2 Crowd and got my shiny new laptop, I had a moment of panic trying to remember how to use an Apple computer. One of the first things I had to learn was how to screenshot on a Mac. Even when I learned the basic command functions, I still longed for my Snipping Tool. I tried searching the app store, but alas, no comparison could be found. 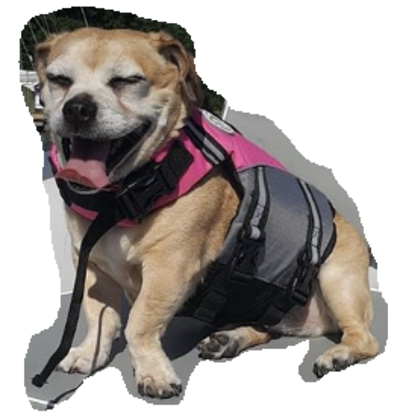 Why do I love the Snipping Tool so much? Well, there are a few reasons. It’s easy to highlight and mark up screenshots. 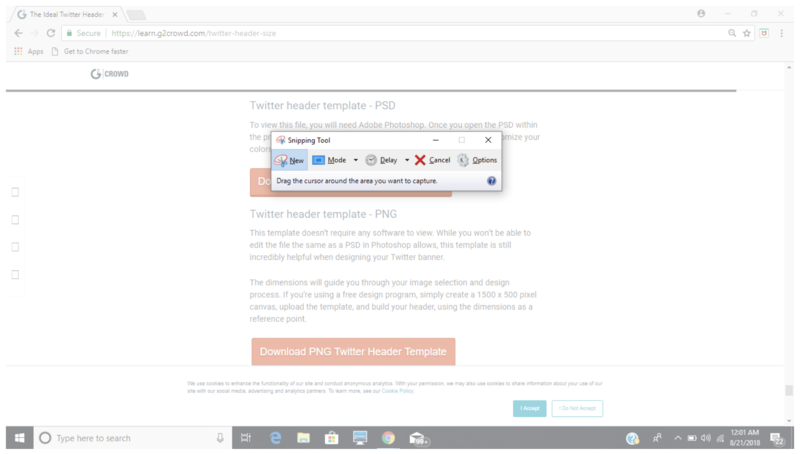 When you take a screenshot, the tool’s pop-up window provides its very own drop-down menu with File, Tools, Edit, and Help. However, the biggest reason I love the Snipping Tool is the ease of saving screenshots. I can immediately change my file name and choose the destination where I will save it. The Snipping Tool is compatible with Windows Vista, Windows 7, Windows 8, and 8.1. 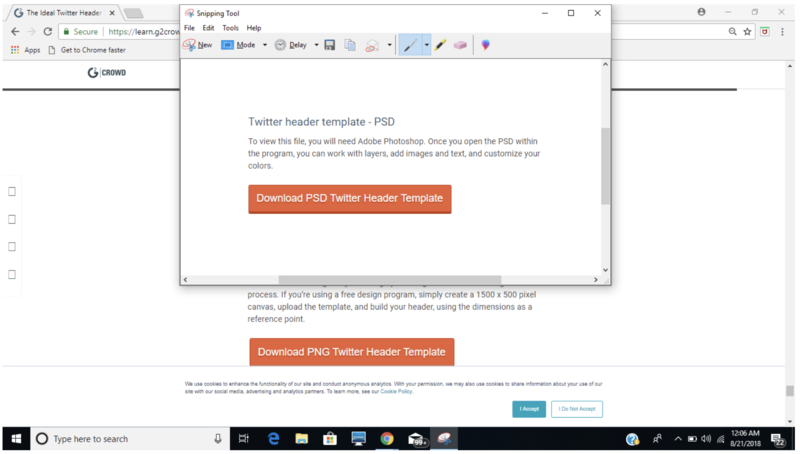 There is a newer version of the Snipping Tool for Windows 10 which works the same way and has the added feature of delayed screenshots. 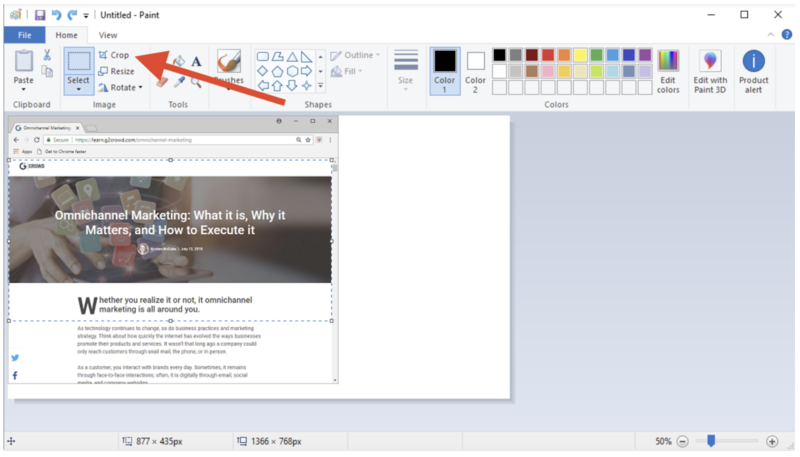 To begin with, let’s start with the basics -- how to find your Snipping Tool. Click on the windows icon in the lower-left corner of your screen. Click on the Snipping Tool program that appears. Then a window for the program will appear on your screen. Click on the word “New,” located next to the Snipping Tool icon. Once you do, your screen outside of the Snipping Tool window will become faded. As you move your mouse, you will see a crosshair appear. Position the crosshair in the corner of the area you would like to screenshot. Then, click and drag your mouse across the portion of your screen you are capturing. When you release your mouse, you will have taken the screenshot. Once your screen grab is captured, it’s time to add any annotations and save the file. Learn more about snipping tools. Imagine you’ve taken your screenshot, but you want to draw attention to a specific area of the image. This is where annotations come in handy! For example, you can use the pen function, located fourth from the right in the toolbar, to draw arrows or circles on your image. Use the highlighting tool, third from the right, to highlight text. The trickiest part (as you can see in my screenshot!) is trying to draw or highlight in a straight line! Practice, as well as the use of a mouse instead of a trackpad (as I used), can help. Once you’ve added any desired annotations, you’re ready to save your image. Whether you are using Windows 10 or an older version of Windows 7 or 8, you can save Snipping Tool images the same way. Now you can name your screenshot and navigate your PC folders to choose the destination. If desired, use the “Save as type” drop-down menu to select the image format. If you don’t need to save your screenshot, you can copy and paste the image. Click “Edit” on the Snipping Tool menu and choose “Copy” from the drop-down menu. Then, just like when you used the print screen button, click the Control and V buttons to paste your screenshot. 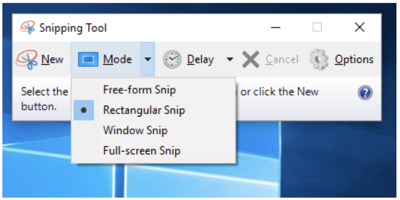 In addition to annotating your screenshots and choosing which folder they are saved in, the Windows Snipping Tool has additional features you can use. Here we’ll look at how to take delayed screenshots on Windows and the four different types of screenshots you can take. If you have Windows 10, the Snipping Tool also enables you to take a delayed screenshot. To take a delayed screenshot on Windows, once again begin by opening the Snipping Tool. On the icon menu, click “Delay” and choose how many seconds you would like to delay the moment your screenshot is captured. After you have selected the screenshot's delay time, click the “New” button and set up your new screenshot. Remember that five seconds goes quickly -- this is a time it’s advantageous to be speedy! Delayed screenshots are helpful for many uses, such as when you are capturing an image from your YouTube channel to create a custom YouTube thumbnail image. TIP: Learn how to make a YouTube channel for your first step in becoming a YouTube personality. 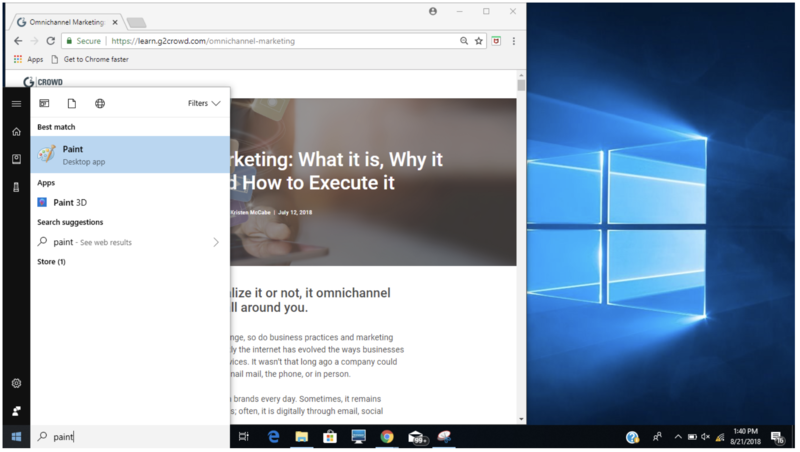 On Windows 10, 8, 8.1., and 7, your Snipping Tool gives the option to take four different types of screenshots. To see each type, open the Snipping Tool and click the “Mode” button. Your Snipping Tool is automatically set to capture rectangular snips. This is the most common use, and it is perfect for capturing select portions of your Windows desktop. Using the window snip mode will give you the same results as using the alt and print screen keyboard shortcut, as shown above. Use the Snipping Tool if you would like to save your image; this will save you the step of pasting your screenshot into Windows Paint. The full-screen snip functions the same way as the Print Screen button. Again, the advantage of the Snipping Tool is annotations and the ability to immediately save your screenshot as an image. The free-form snip is there when you want to take a screenshot that stands out from the standard rectangle. If you’re ready to get adventurous, or you have very specific screenshot needs, it’s time to try the free-form snip. Free-form screenshots are tricky but fun. To take this kind of screenshot, open the Snipping Tool, click “Mode,” then “Free-form snip.” Your screen will dim, and your mouse will become a picture of scissors. Click and drag your mouse to trace the image you would like to capture. The trickiest part is getting it right in one continuous movement; you can’t release your mouse. With a mouse and a little bit of practice, you can use the free-form snip to take some truly unique screenshots. And, if you have experience outlining images in Photoshop, I’m sure your custom screenshots will be much better than mine! So now that you know how to take a Windows screenshot on your PC, what about taking Windows screenshots with a tablet? Taking a screenshot on a Windows tablet is very similar to taking a screenshot on Android. 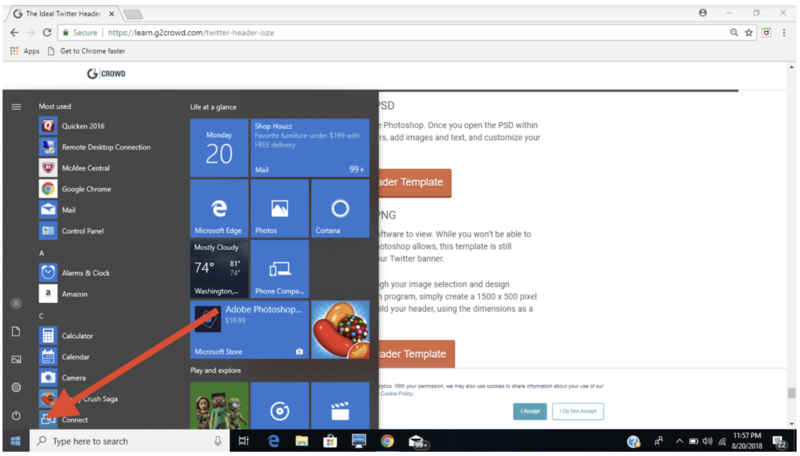 Press and hold down the Windows logo button (located at the bottom of your tablet’s screen) and the physical volume down button. Like your Android device, pressing these two buttons at the same time will capture your tablet’s entire screen. 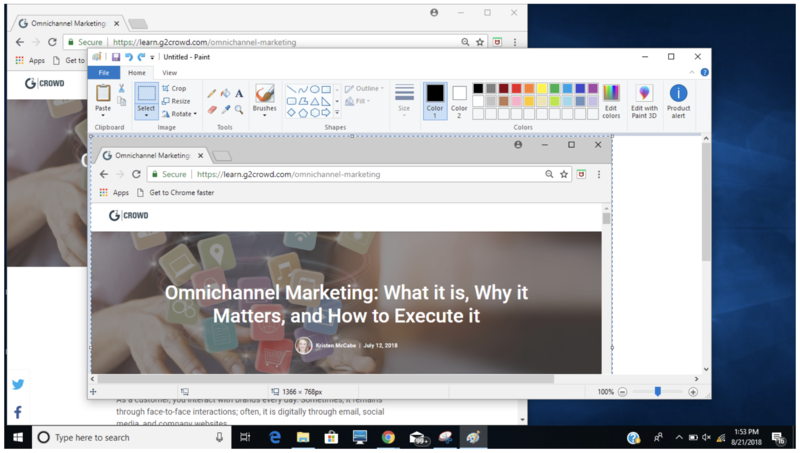 Now that you know how to take a screenshot on Windows, it’s time to put your skills into practice! As you experiment with different PC screenshot methods, you’ll find the one which best suits your needs. When copying and pasting into documents or emails, the Windows keyboard shortcuts will provide you with speed and efficiency. If you need to save your images as a file or upload them to a website, the Windows Snipping Tool may be best for you. 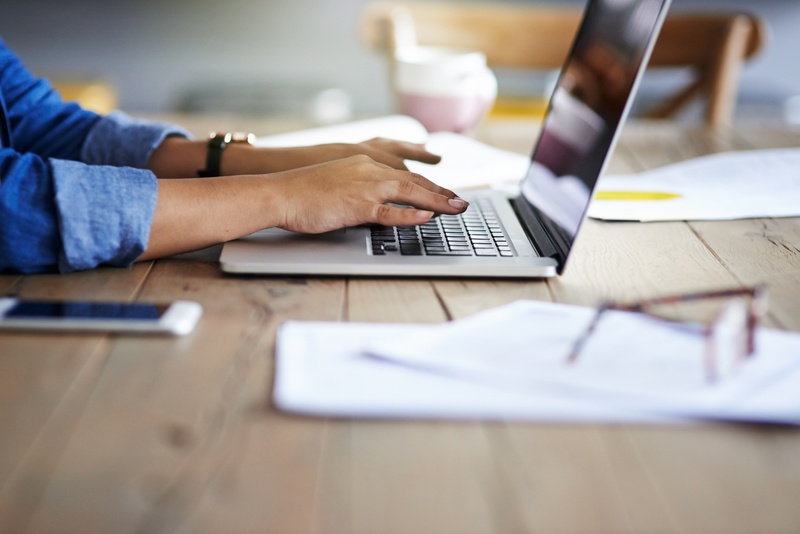 Whether using your screenshots to increase your time management and share funny finds on the internet, one of these methods is sure to suit your needs! For some final screenshot fun, check out these screen grabs featured on The Tonight Show With Jimmy Fallon. Think of the possibilities your new skill holds -- the world of late night TV waits in eager anticipation to see what you capture!